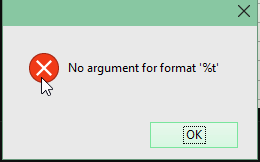 Im getting the no argument for format %t error but clearing the GoS folder on appdata didnt fix it. Any tips? My Scripts Work Properly With Any Game Mode Except Ascension. Restarting PC Everytime It Happens. Edited by riosvice, 15 January 2017 - 09:45 . LoL is crushing every time i start a new game! It's already bordless.. Help please!! Im getting an error telling me that I need to download and install the redist.x86 but after I do that the error does not go away.